2-Way audioSupports remote service capability through speaker and microphone inputs. Advanced Software Pack #1 required to enable functionality.Door contactEnables a NetBotz appliance to detect the act of opening a door, which triggers surveillence recording. 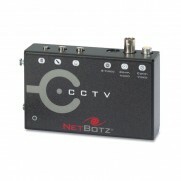 Add third-party closed-circuit television (CCTV) cameras to a NetBotz 500 or 420 monitoring appliance. 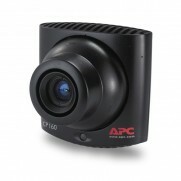 Includes: Cable mounting kit, Installation guide, USB cable.-Door access monitoring.-Motion detection.